HomenewsHealth ArticlesLiving HealthyApril is National Autism Awareness Month What do you Know About Autism? April is National Autism Awareness Month What do you Know About Autism? The National Autism Association lists some of the signs of ASD as: “social impairments, cognitive impairments, communication difficulties, and repetitive behaviors.” The disorder can be from mild to severe and doesn’t discriminate across ethnicities nor socioeconomic lines. However, males are four times likely to develop ASD than females. Regressive autism occurs when a child appears to develop at a normal pace until around fifteen to thirty months then begin to lose speech and social skills. If your child exhibits any of those signs, and you are concerned about autism, speak with your pediatrician immediately and seek early intervention services. 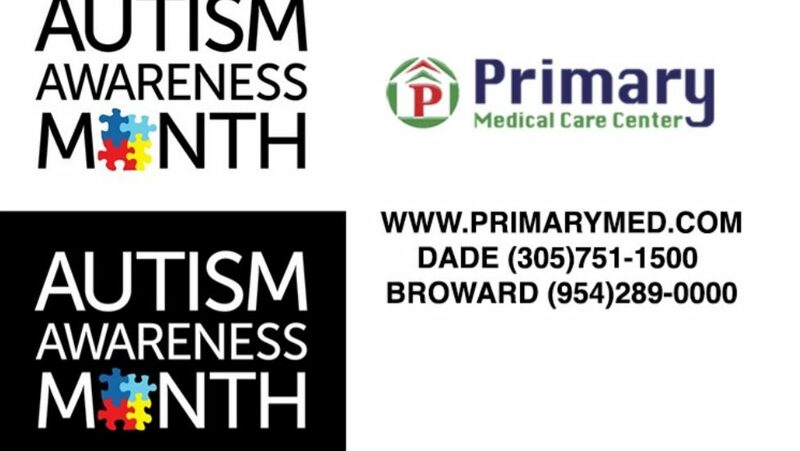 You can also consult a healthcare professional by walking-in or scheduling an appointment at any of our convenient Primary Medical Care Center community clinics, visiting our website at www.primarymed.com, calling (305)751-1500 for our Miami-Dade clinic, or (954)289-0000 for our Broward clinic.